Golf and patent law have a long history together. As golf companies attempt to design the most advanced clubs, balls and other products, they're generally encouraged to engineer new and better designs. They cannot, however, copy designs that are protected by other companies' patents. This distinction between "new" and "existing" sounds straightforward in theory, but in reality can prove murky and contentious and take years to unravel in court. 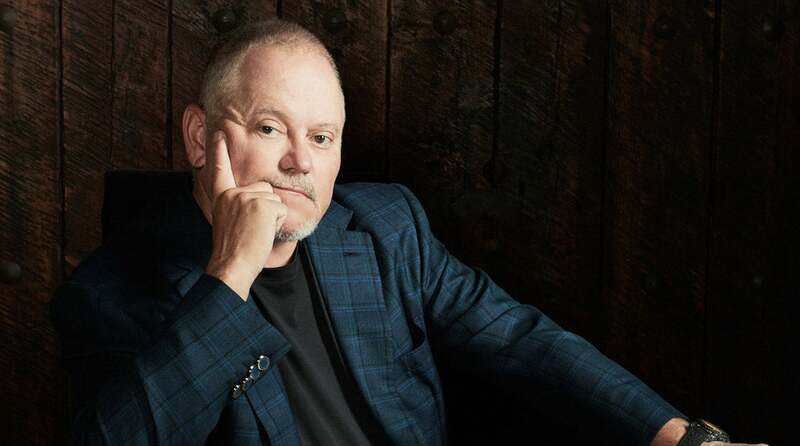 From that lens arrives a potentially high profile patent dispute between Parsons Xtreme Golf (PXG) founder Bob Parsons and the TaylorMade Golf Company. On Tuesday, Parsons tweeted that a patent infringement lawsuit has been filed against TaylorMade. In his tweet, Parsons alleged that TaylorMade's new P790 irons, which retail for $1,299, "infringe upon many PXG patents." The lawsuit referenced by Parsons was filed in the U.S. District Court for the District of Arizona and is embodied in a 277-page complaint authored by attorneys from the law firms Loeb & Loeb and Jennings, Strouss & Salmon. The complaint asserts that TaylorMade has infringed upon multiple patents related to PXG's "revolutionary iron," which purportedly contains "an expanded sweet spot, having an ultra-thin club face, and an elastic polymer material injected in the hollowbodied club head." PXG contends that the design of TaylorMade's P790 irons copies patent-protected designs for PXG's clubs. For example, according to PXG, TaylorMade fills an interior cavity with an elastic polymer material known as "Speedfoam." PXG argues this material mimics the elastic polymer material it uses. The alleged infringement therefore concerns substances added to the clubs as well as the accompanying technological processes. PXG's use of patents to protect its product line is a common practice by golf equipment companies. Patents are intended to incentivize innovation. They do so by ensuring that inventors retain the fruits of their labor and ingenuity for a period of years, with that period being 15 years for design patents filed on or after May 13, 2015. The U.S. Patent and Trademark Office (USPTO) is the federal agency that issues patents. Once obtained, a patent conveys critical legal rights to the patent owner, including the right to prevent others from selling products that utilize already patented technology and design. In the competitive marketplace of sports equipment, a company's ability to gain ownership over a particular method of building a type of equipment can provide enormous value. Like its competitors, PXG applies for patents to protect the technology and processes it employs in constructing golf products. PXG's patents include specifications, detailed depictions, specific claims and illustrations. These materials are intended to portray PXG's patented inventions, as well as their applications, as novel, non-obvious and useful. PXG asserts that TaylorMade has infringed upon several of PXG's patents. In order to prevail, PXG must persuade a court that it is more probable than not that infringement occurred. Here, the alleged infringement concerned product design processes and resulting effects. PXG must show that its patents cover the methods used by TaylorMade in creating and producing the P790 irons. TaylorMade will likely rely on several kinds of defense. The standard defense in a patent infringement case is the most obvious: assert that infringement has not occurred. TaylorMade will probably contend that the processes and accompanying materials used to develop its clubs are sufficiently different from those covered by PXG's patents. TaylorMade could rely on other defenses, including "prior art": the relevant process and technology were already in existence before PXG gained patent protection. To advance that type of defense, TaylorMade will likely offer interpretations of PXG's patent claims that portray TaylorMade's designs as clearly distinguishable from those of PXG. Patent litigation can take years to complete and prove very expensive along the way. Often, both sides retain expert witnesses who possess sophisticated backgrounds in science and technology. These witnesses then offer contrasting testimony on whether infringement occurred. In golf patent cases, expert witnesses are normally individuals who have worked in the industry and are familiar with the design and manufacture of golf equipment. Typically, they are also qualified to review a patent's claims and offer persuasive interpretations of those claims in the relevant context (design of specific golf clubs). Economists are also often retained to provide analysis on the extent of economic harm—or lack of harm—suffered by the plaintiff as a result of the defendant's infringement. Given the considerable resources PDX and TaylorMade enjoy and the competitive stakes on the line, both sides will be poised to spare no expense. The case could get real expensive, real fast. Of course, both sides could settle long before they ever appear in court. If PXG ultimately prevails, it will be awarded monetary damages, including lost profits from sales of PXG clubs that would have occurred but for TaylorMade's alleged infringement. PXG also demands an injunction that would stop TaylorMade from continuing to produce the P790 irons and other (allegedly) infringing clubs. PXG's pending litigation follows a script that has played out many times before in golf. Other golf companies, including Nike and Wilson Sporting Goods, have filed patent infringement cases over the years in which they have asserted that another company has sold clubs, balls or other golf equipment using patented designs. These cases sometimes take years to play out. So it may be years before we know if Parson's tweet proves accurate. Michael McCann is Sports Illustrated and GOLF's legal analyst and the associate dean for academic affairs at the University of New Hampshire School of Law.